Ronda’s stunning location in the lush Serranía de Ronda in Andalusia provides it with the perfect environment in which the Slow Food philosophy can flourish. What’s Slow Food, I hear you ask? The term Slow Food was created in opposition to the term Fast Food and more generally, the globalization of food production, in an attempt to preserve traditional culture and cuisine through the cultivation of food products in a way that supports the farming industry and the local ecosystems in which the food is produced. Ronda’s local olive groves, vineyards and farms all embody this approach. They provide quality produce which can be eaten with minimal accompaniments or indeed as part of one of our traditional dishes. The respect for the land which they are lucky enough to operate on feeds into the respect for local gastronomy. Many culinary activities here focus therefore on learning about the produce itself and the beautiful setting where it is cultivated. You can visit vineyards to do wine-tasting and olive groves to see how we get the best organic olive oil. Local Iberian pig farms offer an insight into the produce that Spain is most famed for around the world. And what better place to taste it all than in the beautiful countryside which Ronda is surrounded by? Cookery classes of typical local cuisine exist, too. These range from lessons in some of Ronda’s best restaurants to private classes in a local home. Observe traditional techniques used to get the most out of our ingredients, try traditional Andalusian food pairings and, of course, learn how to make the perfect Spanish tortilla! Either way, it becomes incredibly easy to avoid the typical onslaught of pre-packaged, nasty fast food which tourists often face. Indeed, this couldn’t be further from our rich, traditional cuisine. 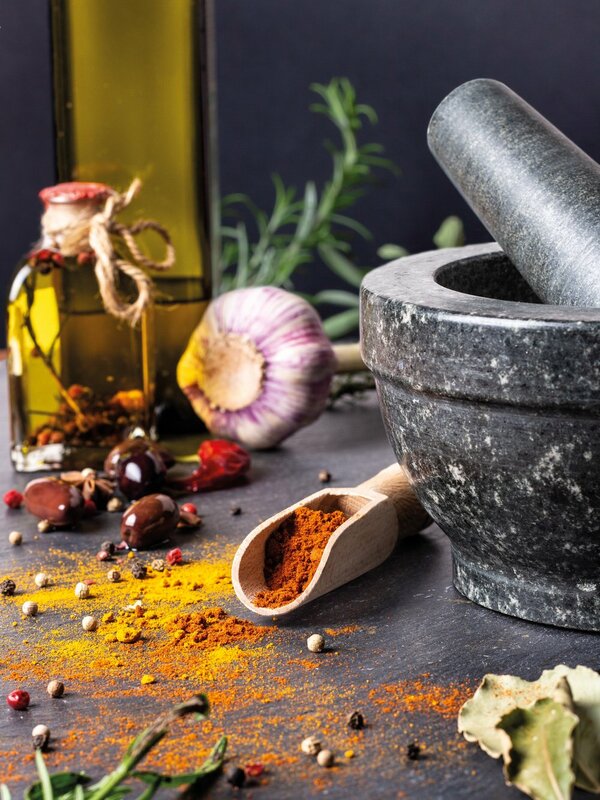 The Moorish influence has led to the inclusion of many spices that are prominent in Arabic cooking, such as cumin, cloves, cinnamon and cardamom, among others. We also love garlic and don’t shy away from giving it a starring role in our dishes, something which often seems fairly novel to travelers in the region. Be sure to try the traditional sopa de ajo (garlic soup) when you’re here! Our eating habits are something we similarly encourage tourists to open their minds to. Spaniards don’t really live in our houses; we live in the street. Parents will sit in a bar while children play in the plaza till midnight. In this way, food becomes sociable: tapas are to be shared, and are indeed designed to be eaten as an accompaniment to a drink, which is why they’re full of flavour and often salty. This culture that surrounds our food has been well-preserved in Ronda. While other, bigger cities may have lost their authenticity trying to offer tourists cheap gimmicks, seemingly trying to cater to whichever cuisine they have just left behind, Ronda is proudly, unabashedly Spanish. Consequently, there are lots of businesses here that work to offer a different, quality product in the activities that they provide for their clients. This is where tourism becomes connected to Slow Food. The tourism sector throughout Spain is closely related to our cuisine and thus, most businesses will provide culinary experiences in Spain for their clients. It is for this reason that the motive behind the slow food tourism philosophy is becoming stronger and expanding throughout towns and cities in the country, and Ronda seeks to spearhead that movement. By focusing your travels on getting to know the food of a place, you get to know the real heart of wherever you go. In the same way that we pass down our culinary knowledge from generation to generation, we hope that travelers come and help spread our culinary philosophy from country to country.